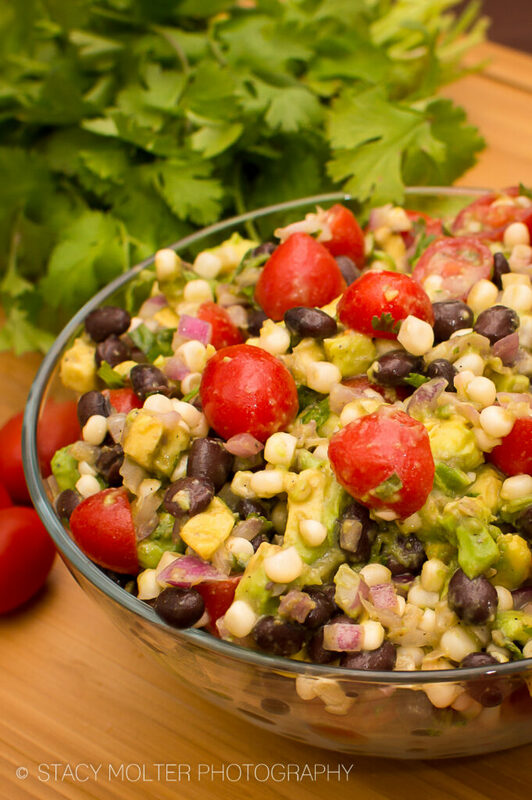 Say goodbye to heavy party food and hello to this refreshing Mexican Corn Avocado Tomato Salad Recipe, perfect for summer BBQ's and potlucks. Guests will love this dish packed full of popular Mexican cuisine flavors. You can even add a bit of diced jalapenos for an extra kick! 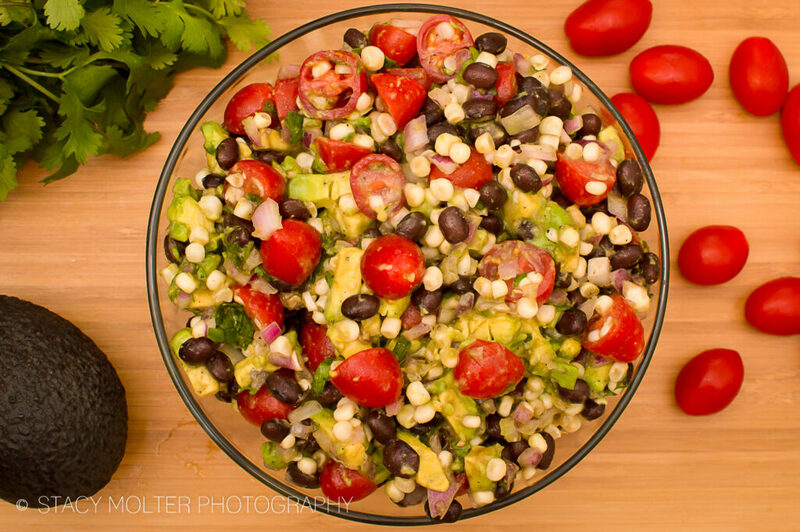 This Mexican Corn Avocado Tomato Salad recipe is bursting with your favorite summer flavors! Dressed with a light lemon and olive oil dressing, this colorful salad has lots of crunch and deep Latin flavor from ground cumin and fresh cilantro. Combine the salad ingredients in a large bowl. Set aside. Pour dressing over salad and gently stir to combine. 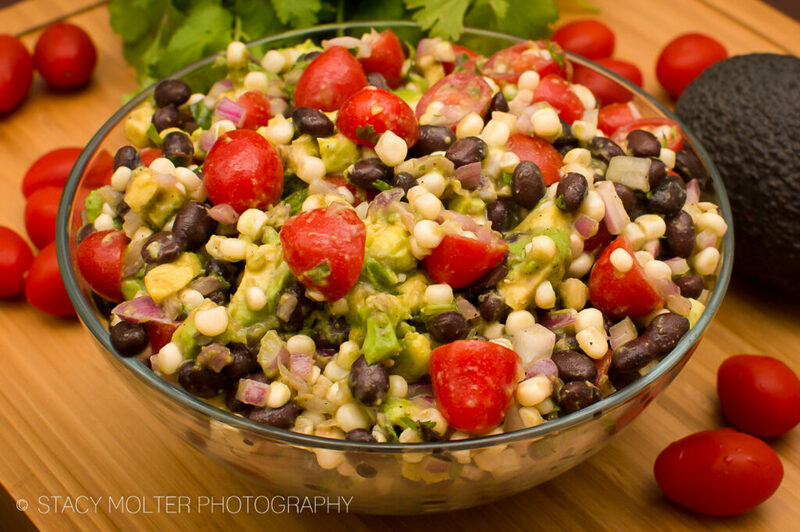 Do you have a favorite Mexican Corn Avocado Tomato Salad Recipe to share? Link it up in the comments below.